Many people do not realize the significance of fighting civil moving violations, or what is commonly referred to as a traffic ticket. For people who have prior tickets or who drive many miles for their job, a traffic ticket can go from a minor issue to a life changing issue if a license suspension occurs. As few as three traffic tickets- regardless of speed- could incur a 30-day license suspension if those tickets occur within 12 months of each other. Attorney Rakhlin has successfully achieved Not Responsible findings for many clients in the Framingham and Natick district courts based on traffic tickets. Many times those tickets occur on stretches of the Massachusetts Turnpike that are a part of the Framingham and Natick jurisdictions. 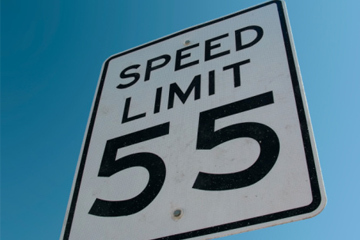 Citizens’ speeds on the turnpike can sometimes exceed 100 miles per hour if there is no one else on the road. Even in those most difficult situations, Attorney Rakhlin has been extremely successful in preventing his clients from being found responsible based on making a thoughtful and thorough presentation on their behalf. The reality is that most clerk magistrates do not want an individual to lose their job over a traffic ticket, or a series of traffic tickets, but they do have to be convinced that the individual understands the gravity of their actions and the potential danger that occurs when driving too fast. In the Framingham and Natick district courts particularly, attorney Rakhlin has represented numerous individuals who are not from the Massachusetts area, but rather were traveling to and from Boston. For those individuals, even though the ticket is an out-of-state ticket, it can still have significant consequences on their license in their home state, because many states share this information reciprocally. Therefore it is not a fair assumption to think that paying your out-of-state ticket will simply be a matter of money; it can also be a matter that costs you your privilege to drive. The evaluation of whether or not to pay the ticket is one that is best handled through a free consultation with attorney Rakhlin by phone. In some cases after a successful presentation the clerk may simply choose to make a Not Responsible finding at the first hearing, but in other more complicated scenarios, particularly those where the individual has had prior stops for speeding or other moving violations, the clerk may still be willing to forgo a Responsible finding in favor of keeping the matter open for a period of time to allow the individual to show that they will comply with the rules of the road. This option is a very good one, particularly where a Responsible finding would result in a license suspension, insurance premium hikes, or even the possibility of an employer taking away a company owned vehicle from an individual. In that respect not only do people who drive for a living need to be concerned about their moving violations, but even those who are merely given company cars also need to realize that that privilege could be easily and quickly revoked based on a poor driving record. By Consulting with attorney Rakhlin about your Framingham or Natick moving violation or traffic ticket, you can get a better sense of what the potential dangers are and how a presentation could be made to secure a Not Responsible finding. As soon as you get your ticket, don’t delay, call Rakhlin law at 617-564-0466 to discuss your case.